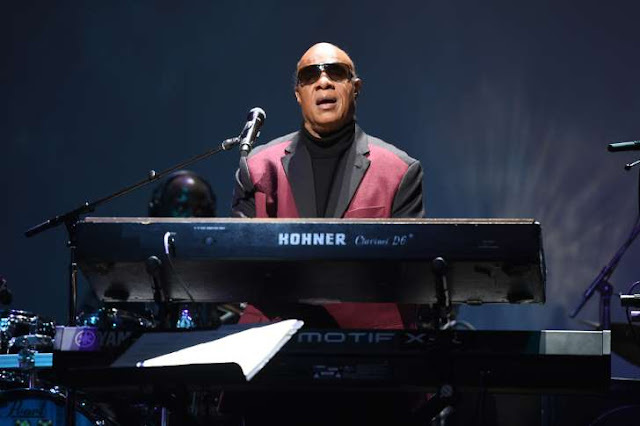 Stevie Wonder took a knee in solidarity with former NFL quarterback Colin Kaepernick at the 2017 Global Citizen Festival in New York’s Central Park on Saturday. “Tonight, I’m taking a knee for America,” Wonder said, dropping to first one knee and then the other. The singer then played a crowd-pleasing set that included “Higher Ground,” “Signed, Sealed, Delivered, I’m Yours,” and “Sir Duke” as well as a cover of John Lennon’s “Imagine” and a guest appearance from Pharrell Williams. During the 2016-2017 football season, Kaepernick took a knee during the national anthem as a sign of protest. His contract with the San Francisco 49ers was not renewed and he has not yet signed with another team.